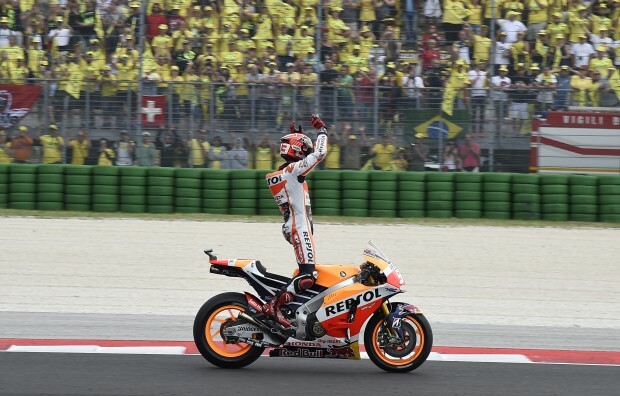 Repsol Honda’s Marc Marquez took a remarkable victory in difficult conditions at the San Marino GP – one of just three circuits where he has not previously won in the premier class (along with Motegi and Phillip Island), but Dani Pedrosa was hindered from seeing his pit board clearly causing… read more. 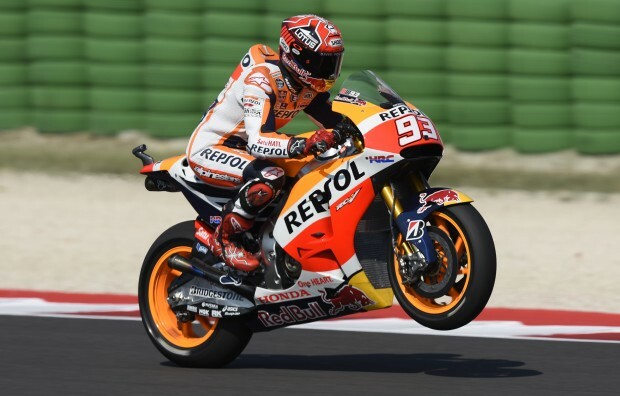 In a closely fought qualifying battle for tomorrow’s San Marino GP, Repsol Honda’s Marc Marquez lost out on pole position by just a tenth of a second, with teammate Dani Pedrosa missing out on a front row spot by seven hundredths of a second. With such a short lap –… read more. 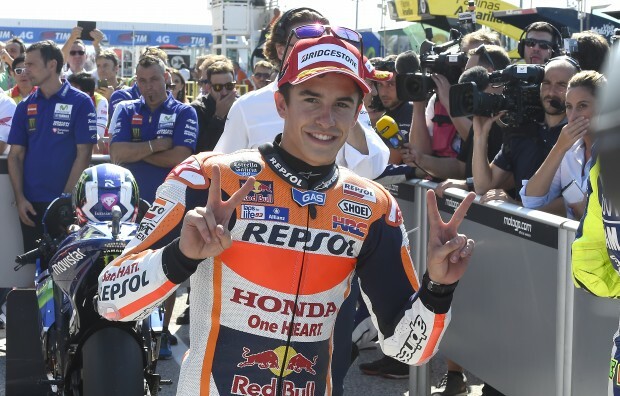 Repsol Honda’s Marc Marquez and Dani Pedrosa have had a promising first day in Misano, finishing second and third respectively in the combined times. With temperatures considerably lower compared to when they were testing here in July, the track was pretty slippery this morning but gradually improved as more rubber… read more. 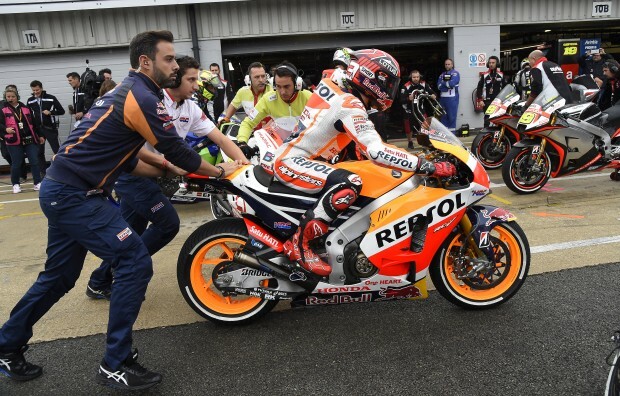 After a difficult weekend in Silverstone, caused by adverse weather on race day, this weekend the MotoGP paddock is en route to San Marino for round thirteen of the 2015 World Championship. 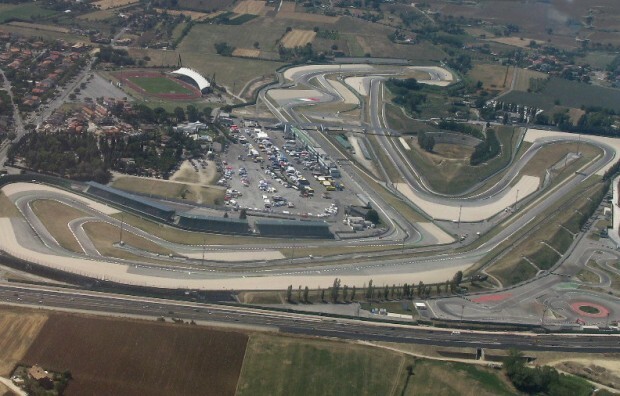 Misano, renamed in 2012 as the ‘Marco Simoncelli Circuit’, underwent a major modification for the 2007 season, when… read more. 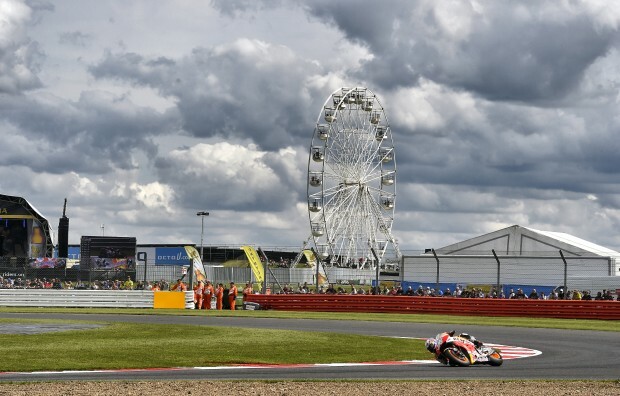 Reigning World Champion, Marc Marquez, crashed out of today’s British Grand Prix at Silverstone whilst fighting for the lead in the rain in an accident-filled race, with teammate Dani Pedrosa managing to bring the bike home and finish fifth. After a delayed start caused by the onset of rain, Marc… read more. Marc Marquez has racked up his sixth pole position of the season with teammate, Dani Pedrosa, clinching third. It was a good day for the Repsol Honda team at Silverstone today, with both riders qualifying in the top three. 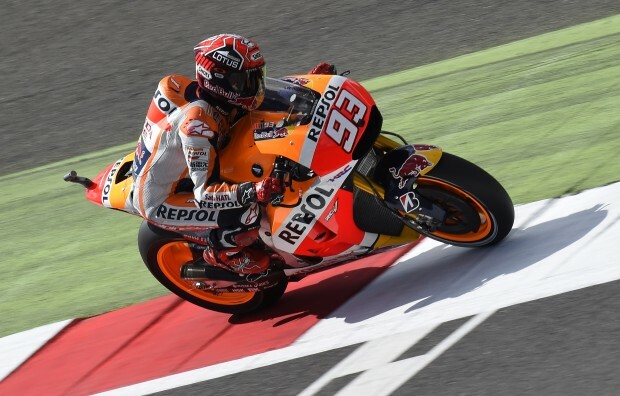 Marc set the pace early in the qualifying session while Dani,… read more. Reigning World Champion, Marc Marquez, sets second fastest time of the day, with Repsol Honda teammate Dani Pedrosa in fourth. Just 0.033s separated Marc from being the fastest rider of the day at Silverstone on Friday. After setting the best lap in the morning free practice session at the British… read more.